You are here: Home » Blog » Health » Are You Scared of Salt? Chances are, if you follow mainstream medical advice or watch the news, you’ve seen some negative press about salt. In fact, the low-sodium industry is booming! Well maybe you can see the importance of eating good fats, or why grains are unhealthy, but you agree that too much salt isn’t healthy at all. And you’d be right… if we are talking about the chemically produced table salt that is added to most processed foods, meats and snacks. Table salt, which is 97% Sodium Chloride (NaCl) is chemically produced, bleached, and devoid of most other nutrients. It also contains aluminum in many cases, which has been linked to Alzheimers disease and other problems in the body. This type is not naturally occurring and in fact, when salt-water fish are placed in salt water made with table salt… they die. It is also devoid of the many trace minerals that the body needs … so it is a wise decision to avoid it. The problem is, that when companies reduce table salt in their foods to make it low-sodium, they don’t replace it with trace minerals and healthier options, they often replace it with MSG and other chemical additives to achieve the flavor. Unfortunately, many of the studies done on sodium consumption use table salt in the research, so there is now a body of evidence showing that salt consumption is harmful, when in reality, no distinction has been made between chemically created table salt and natural forms containing trace minerals. To the degree that table salt is bad, real salt is healthy, necessary, and good. The body contains high concentrations of many minerals and nutrients, and while it needs water, it also must have the proper concentration of these nutrients in bones, blood, and organs to function properly. A person can’t be given an IV of plain water — it must contain a careful balance of minerals, including sodium! 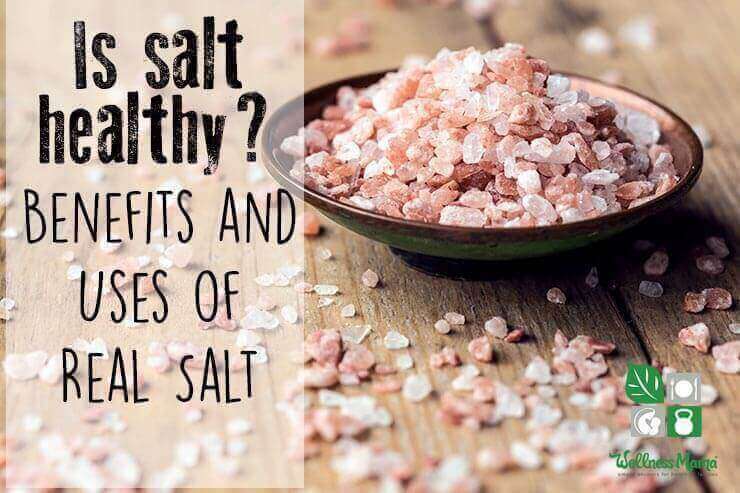 Salt, in its natural form is not only necessary for the body to function, but it is extremely important in the right concentration for optimal health. Other studies have shown that it is actually proper calcium, magnesium, and other mineral balance, not sodium reduction, that improves blood pressure, hypertension, and other problems. The notion that salt intake and blood pressure were intimately related emerged early in this century when doctors discovered that they could lower the high blood pressure of people with kidney failure by feeding them a rice-based diet extraordinarily low in salt. And in 1989, researchers at the London School of Hygiene and Tropical Medicine decided to re-evaluate the link between salt and blood pressure through a study of more than 10,000 people in 52 cultures around the world. Participants ranged from Yanomamo Indians in Brazil, whose diet is almost salt free, to residents of northern China, who eat as much salt in a day as a Yanomamo eats in three years. Instead of merely estimating salt consumption, the researchers calculated precise values based on urine samples. They took into consideration obesity and alcohol consumption. Among their findings were that except in a few places with extremely low salt consumption, the amount of sodium in the diet was unrelated to the prevalence of hypertension in a society or to its average blood pressure. Moreover, although the high rates of hypertension in the United States had long been considered a function of this country’s love for salty processed food, the study placed Americans right in the middle of the world’s salt intake curve. A decade ago, when researchers at the University of Indiana put patients on a low-salt diet, they found that blood pressure went down in about a third of patients, but that in an equal number it actually rose. Dr. Pavel Hamet of the University of Montreal recently studied 200 Canadians with widely varying salt intakes and found that the saltiness of the diet bore no relation to whether a person was hypertensive, as long as the subject had adequate calcium in the diet and was not a heavy drinker. Many of the studies done on the supposed link between sodium intake and hypertension are used to justify a low-sodium diet, especially in cardiac patients. Unfortunately, these studies fail to take into account the difference between real salt and chemical versions, and the importance of proper salt consumption in the reduction of risk of other health problems like osteoporosis, cancer, arthritis, skin conditions, hormone balance, and nerve function. If you’ve been limiting salt for health reasons, you must differentiate between chemical table salt and healthy nutrient-dense salt. These are all conditions that can result from too little sodium and trace minerals and the resulting mineral imbalance. It is important to note that regular table salt can actually make these conditions worse because it will create more mineral imbalance by delivering too much sodium and chloride and not enough of the other necessary minerals. Through our efforts to remove processed table salt with the low-sodium craze (a good thing to remove) we have created a deficiency of necessary minerals. The negatively charged ions in real salt, especially when combined with water, support a host of hormonal, chemical, and electrical processes in the body. Its trace mineral concentration makes it especially supportive of nerve and heart health. (Scary, since cardiac patients are often told to reduce sodium). Some doctors have even had success in improving irregular heart beat and lessening neurological disorders with proper doses of real salt. Food absorption: Proper mineral balance in food and water helps the body absorb and assimilate food and water better. Cell Cleansing: The negatively charged ions in real salt and the trace mineral concentration let it cross into cells and pull toxins from them. Blood Pressure: Some evidence shows that it may actually help regulate blood pressure (not raise it) when taken in the correct amounts. Heart Health: The negative ions in real salt help stabilize an irregular heart beat and support electro-chemical reactions in the body. pH Balance: It is alkalizing and may help balance the body’s pH. Allergies: Some evidence shows that real salt dissolved in warm water is an effective natural antihistamine. Asthma and Sinus Trouble: Some patients experience asthma and sinus relief from taking salt internally and from using a salt inhaler. Salt can also be helpful in clearing up excess mucous and phlegm. Improved sleep: Balancing the trace minerals in the body is supportive of hormone processes and can improve sleep quality and duration. Reproductive Health: By supporting natural hormone function, real salt is also supportive of natural fertility and can improve reproductive health in both men and women. Cell Communication: Its pH and ion concentration help improve chemical communication between cells. Muscle Cramps/Tension: The trace minerals and pH in real salt help alleviate muscle cramps (magnesium is also important here). This is one reason that you often see athletes soak in salt water/Epsom salt baths. Adrenal and Thyroid Health: the pH and trace minerals in salt are extremely important for proper adrenal and thyroid function. If you suffer from problems with either of these glands, increasing salt consumption can greatly help improve symptoms. Nerve function: The electrical properties in real salt help support proper nerve function and communication throughout the body. Water Content of Body: Just as an IV must be in the proper electrolyte concentration to be absorbed, the trace mineral in real salt help the body naturally regulate the amount of water and trace minerals it needs. Digestive Health: When consumed with water, it can help optimize the environment in the digestive system and increase stomach acid. This makes it helpful in dealing with digestive disorders, heartburn, and other digestive problems. Though not scientifically studied, there are cases of doctors helping or eliminating conditions in their patients with the use of real salt and water, including: arthritis, lyme disease, hypertension, neurological disorders, and skin issues. 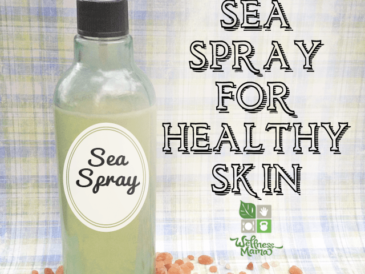 Eczema and Psoriasis: The same helpful properties make it helpful both internally and externally for skin conditions like eczema and psoriasis. Oral Health: its trace minerals can be helpful for oral health and for re-mineralizing teeth. Swishing with a salt water mixture daily can help improve oral health. At our house, we have several different types of natural salt (black lava, Celtic sea salt, etc.) 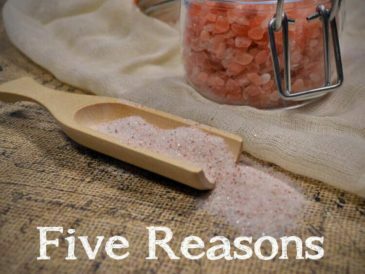 but our favorite BY FAR is Himalayan Salt. 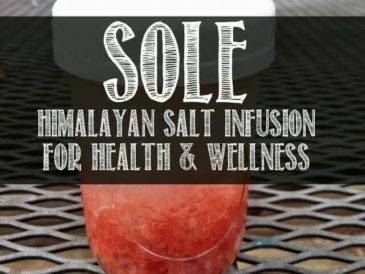 This type of salt is found deep in the Himalayan mountains and contains all 84 trace minerals needed by the body. It is naturally pink or red and has a much milder flavor. 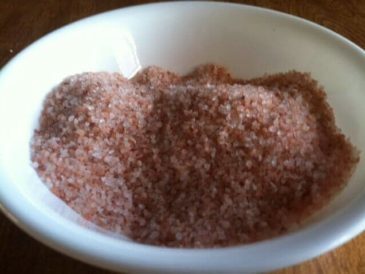 In my opinion, this is the highest quality salt available, as it is from the mineral rich Himalayan mountains and is not affected by the chemicals and toxins that are increasing in quantity even in natural sea salt. I add this type of salt to almost all of our foods, and even take it plain in water at times. Other real salts like Celtic sea salt and black lava salt (contains activated charcoal) are also beneficial. If you aren’t used to consuming salt, it may be difficult to make a transition back to healthy consumption (though many people find that their bodies crave it and respond very well immediately). 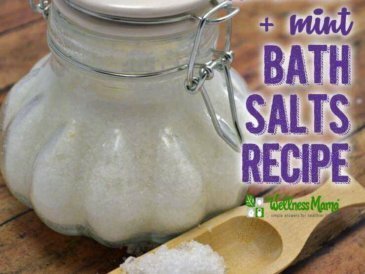 Soak in a relaxing bath with added magnesium and Himalayan or Celtic salt (2 tablespoons of each). For skin issues: Make a poultice of real salt and water (or honey) and apply to areas with eczema or psoriasis. Make a scrub with finely powdered sea salt and natural oil (like coconut or olive) to use as an exfoliant in the shower. Swish daily with a salt water mixture in the mouth for 30-60 seconds. The trace minerals will help remineralize teeth and the pH of the salt will help improve the pH of the mouth. Make sure you are also consuming enough magnesium and other minerals, as most people are also deficient in magnesium. Magnesium will help absorption of other minerals and vice versa. Though it won’t help sodium levels in the body, there is some evidence that a Himalayan salt lamp can ionize and cleanse the air. Either way, they are pretty! We get our Himalayan Salt at a discount from here, which is the cheapest and highest quality source I’ve found. 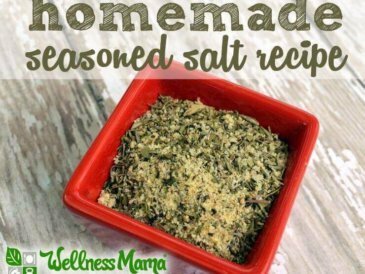 Real salt is necessary for so many things within the body and this is one health change that is easy (and tasty) to make. Our bodies naturally crave salty foods, and many people even crave the beach (real salt plus vitamin D!). Make sure you are consuming enough! What are your thoughts on salt? Scared of it? Unsure? Avid salt eater? Weigh in below!